Mop your floors with DIY reusable Swiffer pads and clean your grout with a power scrubber. 1. Mix equal parts dish soap and warm vinegar to clean up your bathtub. Spray the mixture all over and let it sit for 30 minutes. 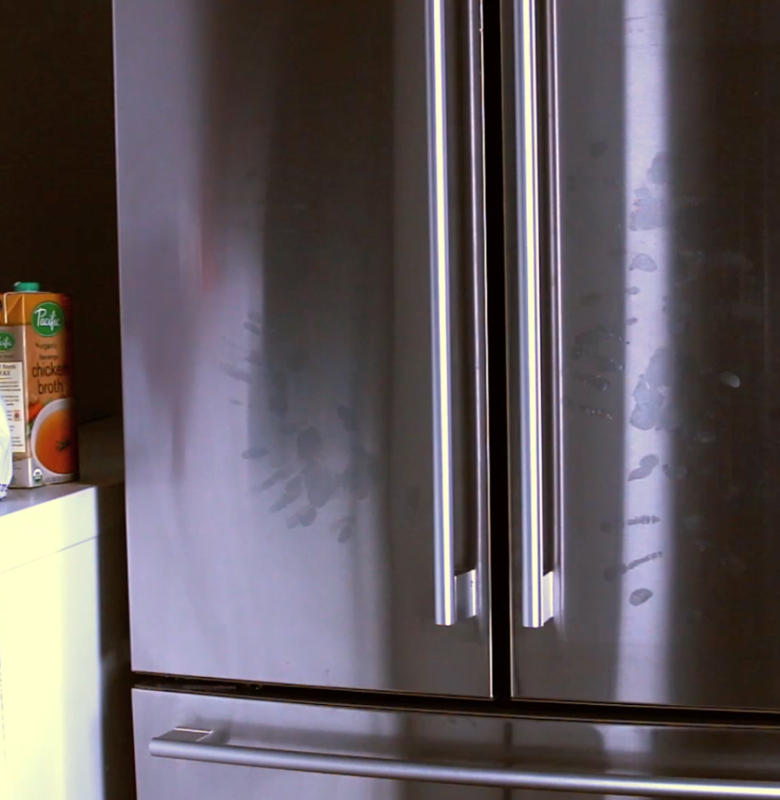 Use a melamine sponge (AKA a generic, cheaper Magic Eraser) to easily wipe away the grime. Learn more here. 2. Wipe down your countertops with all-natural DIY cleaning wipes. Cut a roll of paper towels in half with a serrated knife and put it in a coffee container (or an empty wipe container if you have one!). Soak them in a mixture of ½ cup of white vinegar, ¼ cup of rubbing alcohol, ¼ cup of water, 8-12 drops of essential oils, and a teaspoon of dish soap, and then wiggle the cardboard roll out of the middle. Cut an X in the lid of the container with a box cutter and thread a towel out of the top. Use them to clean everything — from your stainless steel appliances to the ceramic in your bathroom. Learn more here. 3. Combine a few household items to make a cleaner that won't leave streaks on the windows. Shake ½ cup of rubbing alcohol, ½ cup of white vinegar, 2 cups of warm water, and 1 tablespoon of cornstarch in a spray bottle. Spray all of your glass surfaces and wipe them down with a microfiber cloth. Learn more here. 4. Scootch around your room with these microfiber slippers when you're feeling too lazy to actually clean. Cut a microfiber mat into the shapes of your slipper's soles and stitch on a few pieces of velcro. Glue the other side of the velcro strips onto the slippers so that they line up with the strips on the pads. When the pads are dirty you can change them out for clean ones, and toss the dirty ones in the washing machine. Learn more here. 5. Soak socks in a cleaning solution to make reusable dust mop pads. Soak the socks in 4 cups of water, 2 cups of white vinegar, and 10-15 drops of essential oils. Squeeze out the excess and store the socks in an air-tight jar. When you're ready to use, just stretch them over the dust mop head and they'll pick up dirt, dust, and hair, and the solution will disinfect the floors. Learn more here. 6. 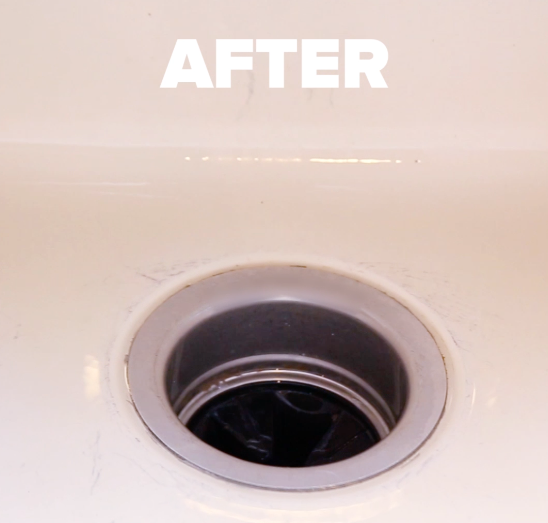 Sprinkle baking soda all over the kitchen sink and soak the sides in vinegar to make it sparkle. Vinegar has cleaning properties that'll help disinfect and get rid of any lingering food smells. After a few minutes, collect the paper towels and give the sides a wipe before rinsing it all off. Learn more here. 7. Freeze lemon peels and vinegar in ice cube trays to make disposal cleaning pods. Grinding ice will help sharpen the blades in the disposal, the vinegar cleans them, and the peels will release the lovely citrus smell! Learn more here. 8. Attach a soap dispenser brush to a drill to clean your grout with some serious scrubbing power. Slide a machine screw through the hole in the brush and use a washer and bolt to secure it. Secure the brush on the drill and then spin the brush while it's submerged in soapy water. Press firmly on the grout while the drill is spinning the brush. Wipe everything clean with a damp towel and your grout will look like new. Learn more here. 9. Spray your car's interior with this nontoxic DIY car cleaner to make it look like you just picked it up from the dealer. Mix ½ cup of distilled white vinegar, 1 cup of club soda, ½ cup of nontoxic dish soap, and a ¼ cup of lemon juice. Spray all over the upholstery and scrub at it with a cleaning brush. Keep spritzing and scrubbing until the stains disappear. Dry area with a clean towel. Learn more here. 10. 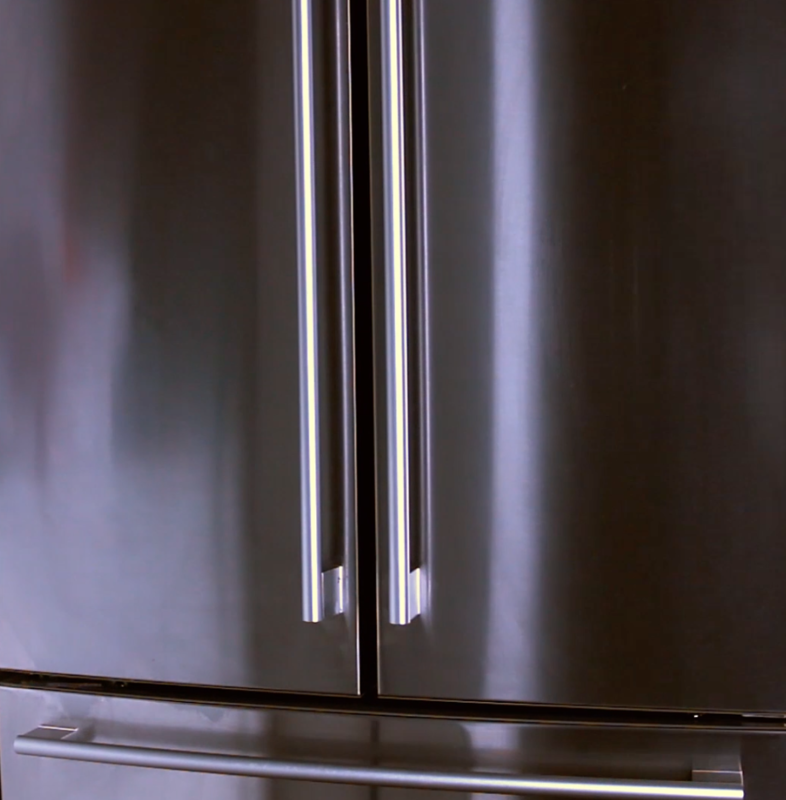 Use watered-down vinegar to clean your stainless steel appliances without streaks. The spray should be made of equal parts vinegar and water. Use newspaper, used dryer sheets, or a microfiber towel for best results. Rub on some olive oil for extra shine. Learn more here. 11. Remove rust with coke and aluminum foil. Spill the coke all over the rust and use the foil to scrub it off. Wipe it clean and brush on some coconut oil to prevent rust in the future. Learn more here. 12. Pull gum off of surfaces with just a splash of coke. Then use a paper towel to pick up the gum. Should come right off! Learn more here. 13. Mix up this leather conditioner to get your shoes and sofa looking spiffy again. Mix ¼ cup of olive oil, ¼ cup of vinegar, and 10 drops of essential oils and rub the mixture all over the leather with a toothbrush. Learn more here. 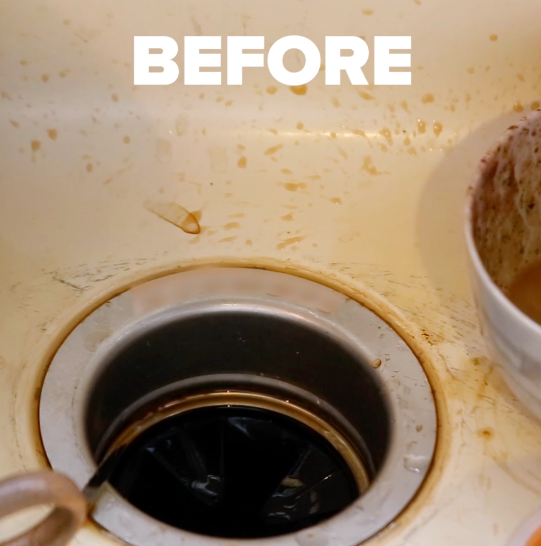 • 20 Cleaning Hacks That'll Make You Say, "Why Didn't I Know About These Sooner?"